Moving on to the box project! 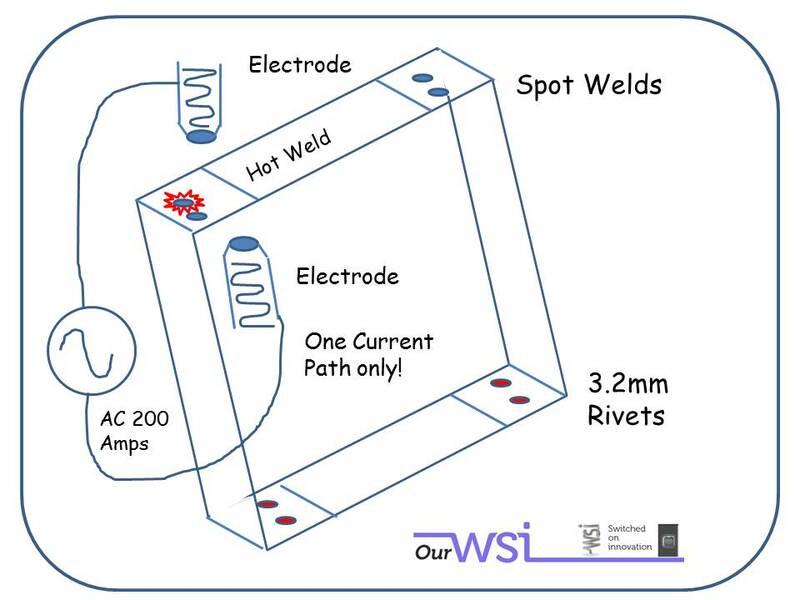 Be careful with the spot welding! Watch the video in the links and wear safety glasses always and supplied leather apron if you are wearing nice clothes and do not want holes burned in them. 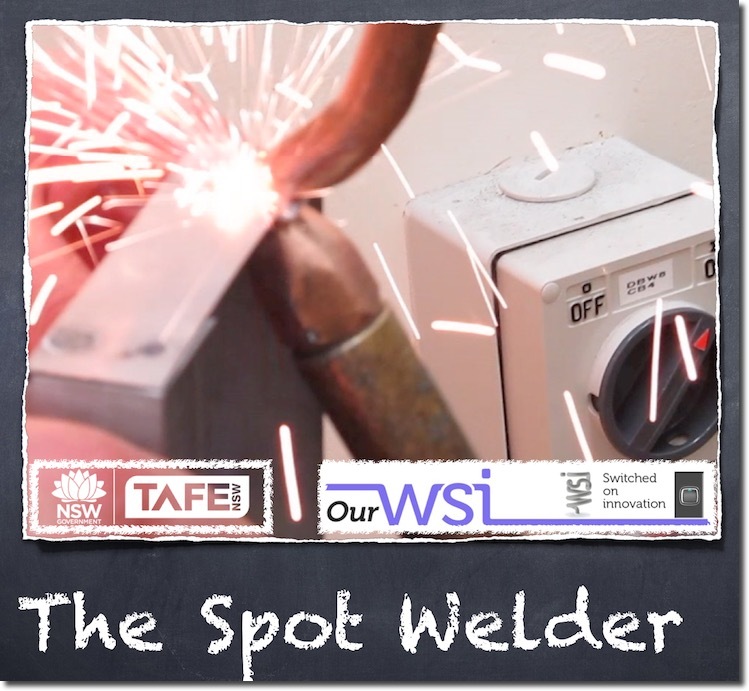 The sparks will not normally occur, only when the machine is used incorrectly. You can see here that you need all the current to travel through the front of the electrodes. Do not let current go around the edges and form a parallel electric circuit. You can zoom this box drawing quite a lot. NOTE: the isometric is not a true isometric, as it’s not done at 30º angles. It appears to have been done at 30 / 60. 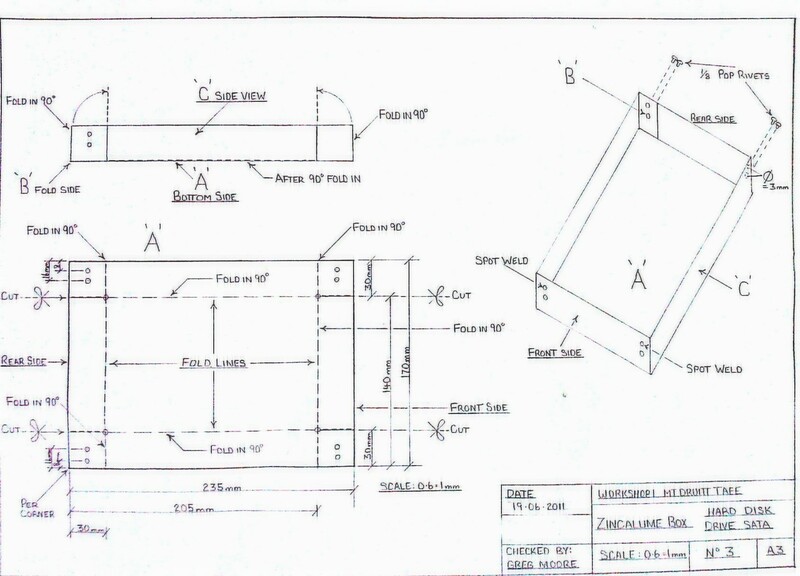 We changed the drawing now to be two pages, the isometric image drawn on another A3 Sheet.